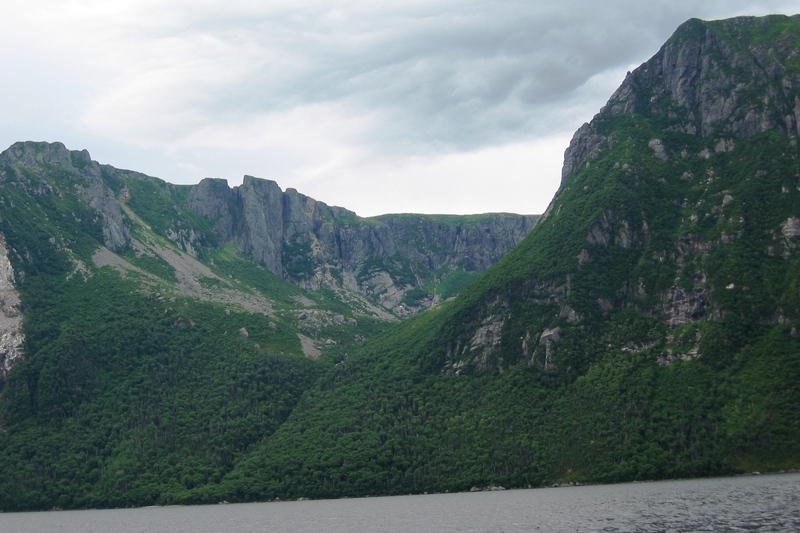 After we drove back down from L’Anse aux Meadows we went back to the Gros Morne Park area and took the Boat Tour of Western Brook Pond. The Pond is actually a freshwater lake, but it was carved from glaciers and was previously a fjord. The lake is ultraoligotrophic – meaning devoid of oxygen and nutrients, very pure. 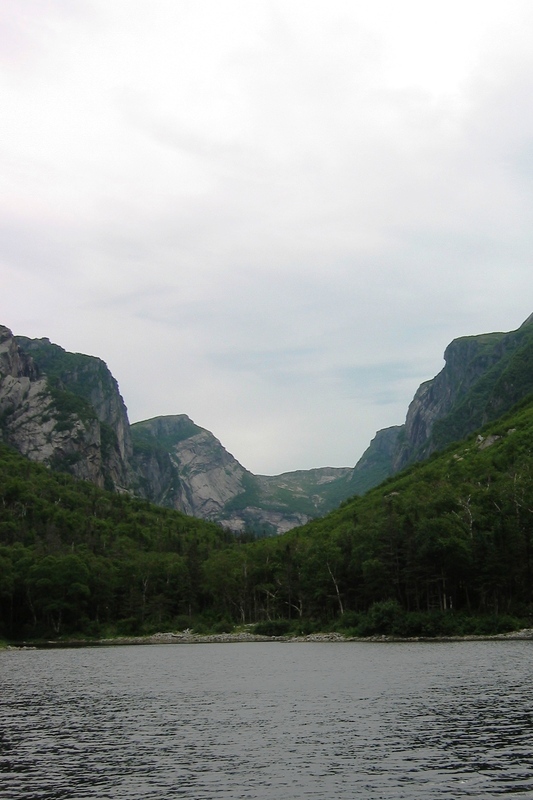 The lake is fed from runoff from the mountains around it – the Long Range Mountains, which are the most northern part of the Appalachian Mountain Range. 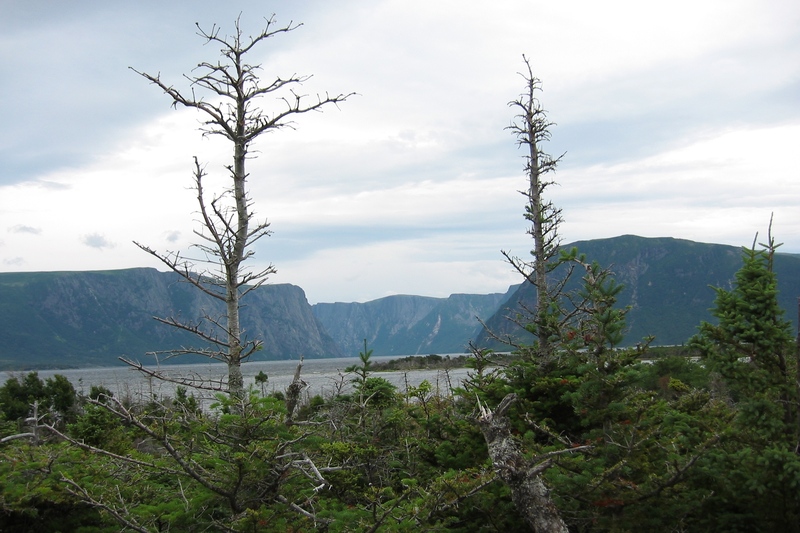 It empties into the Western Brook River, but empties so slowly that it only refreshes the water in the lake every 15 years. There are waterfalls and billion-year-old rocks; paths that caribou still use to go up to the plateau each year to mate. Here is a picture of a bowl carved from a glacier at the side of the fjord. At the innermost point in the fjord, two wilderness backpackers got off the boat and waved as we left them there to walk 5-7 days out the back of the valley. On the drive up and back we saw an eagle, some moose, and several very small gardens by the side of the road. 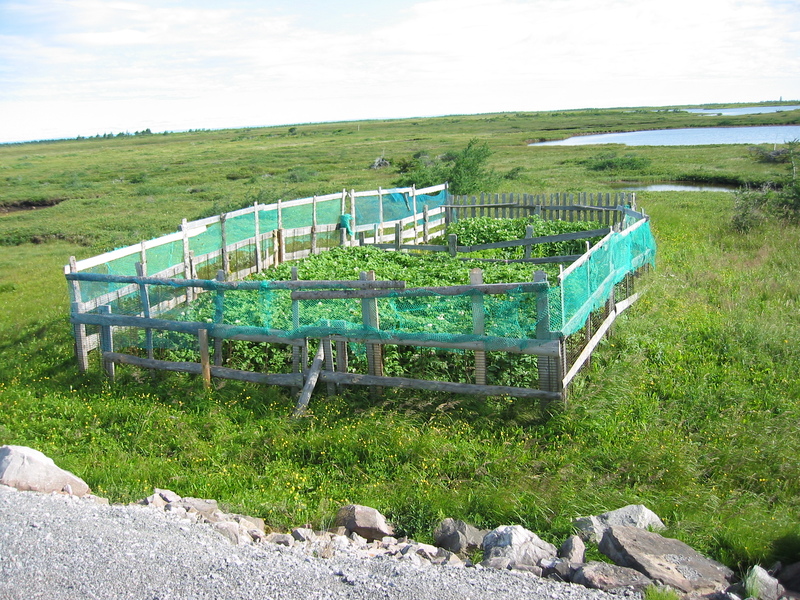 There is so little arable land in western Newfoundland that I guess people just plant where they can. 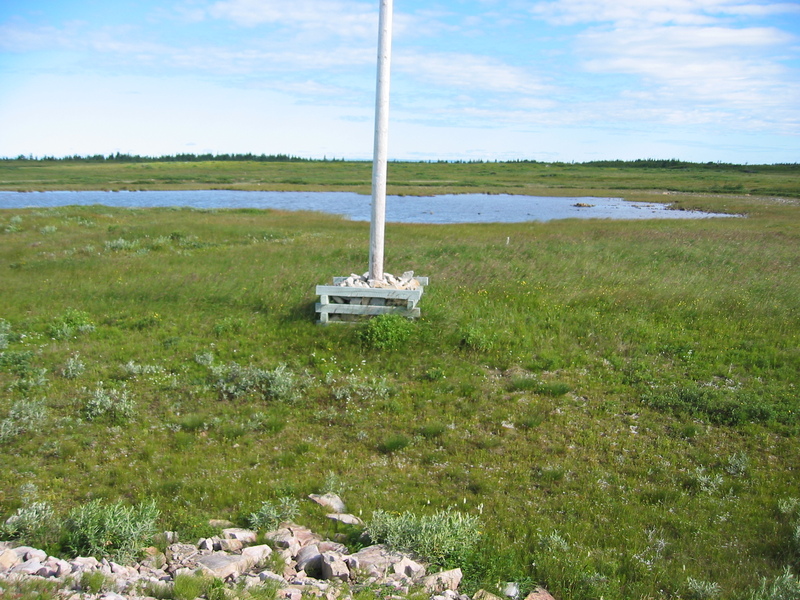 We also saw that several of the utility poles need support in the boggy soil – so they build support using rocks. One night we stayed in the parking lot of a Community Development center on the coast. The wind was so strong that Chris re-parked the RV twice to move closer to the building for a wind-block, and then reversed the direction of the RV so the vent flaps wouldn’t fly off the top. I continue to enjoy your postings. Finally got my Roadrunner up and running when Mike got new computer set up, so now I can enjoy the photos as well. You have a real knack for travel commentary and photos. You guys should write a travel book! I bet if you sent this blog to some publishers, you’d get some interest!